Despite its importance, I have never considered myself a successful person when it comes to housekeeping. Even though I have never seen home chores as a burden, I have never seen it as a fun activity either. This unique iPad app from Toca Boca might be able to change this perspective - for my sons, at least. Toca House review - In the app, your juniors can learn about household chores and how to participate in them. Toca House is a really unique app that tries to introduce housekeeping to your juniors in a really fun way. In addition to knowing what the typical home chores are, your juniors can learn to appreciate the other family members in the household that are doing these chores for them and even learn to take part in it. In this app, the developers try to introduce 19 different chores in six different locations of a typical home, i.e. the lawn, the front porch, the laundry room, the kitchen, the family room and the bathroom. 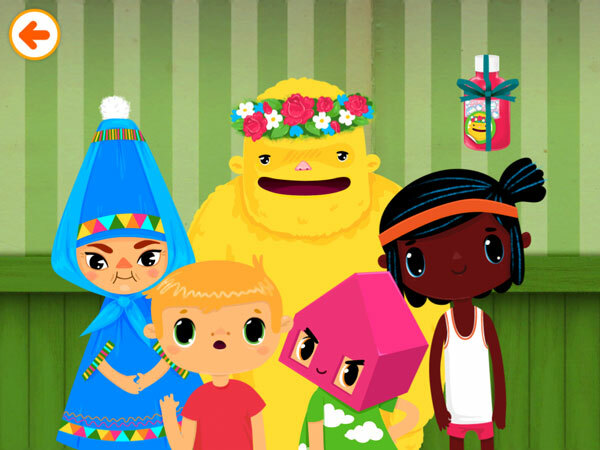 As with many other Toca Boca apps, there isn't any wrong way to play with the app. You can swipe up and down to choose which room you want to play in. In addition to the activities that are uniquely available in each location, such as mowing the lawn, sorting the incoming mails, ironing the clothes, storing the groceries, putting the wood blocks inside the fireplace and taking a bath; there are also three common chores that you can play in most rooms, i.e. sweeping, mopping and vacuuming the dirty floors. Toca House makes doing these chores interesting by introducing five cute characters who live in the house. By tapping on the front door, you get to see all five of them and play a simple game of assigning the chores to each one. These characters will show up again to assist you as you tap on them to start a chore. After performing 10 chores, night will fall upon your house and everyone will rest for the day. This is a nice way for your juniors to take a break as well. If they insist to play again, they can always tap on the big yellow replay button to start a new day. Toca House review - From grocery shopping to ironing their clothes, juniors can learn to contribute to housekeeping. Within all of Toca Boca apps, you can find a letter from the developers that explains how you and your juniors could benefit from the app. Reading through the letter allows you to understand and appreciate the philosophies behind the design decisions. I really appreciate how the Play Designer proposed several topics that you can discuss with your juniors - these fit nicely with my approach where I consider most iPad apps as tools to trigger discussions with my sons. The key concept that Toca House tries to introduce is that housekeeping is all about making your home look and stay nice. Toca House also helps to inspire us, as parents, to design household chores as interesting activities for our juniors. Having fun is always a good way to combat the laziness that usually creeps up on us when it comes to doing housework. As an added bonus, Toca House also introduces the concepts of rooms and their functionalities. If you have a junior who is as young as two years old, you would really appreciate this. I was surprised to learn that my 3-year-old son, Philip, had been unaware that the different rooms in our home have distinctive names and functionalities until his school curriculum taught him explicitly about it. One of the activities that Philip's school arranged to introduce the concept of homes is by touring one of the students' house. Philip really enjoyed the tour and was able to compare how different rooms need to exist and that they can be quite different from the ones he has at home. I am grateful that Toca House offers another house that Philip can explore. Hopefully, he will also learn to associate the rooms with the chores that are performed there. 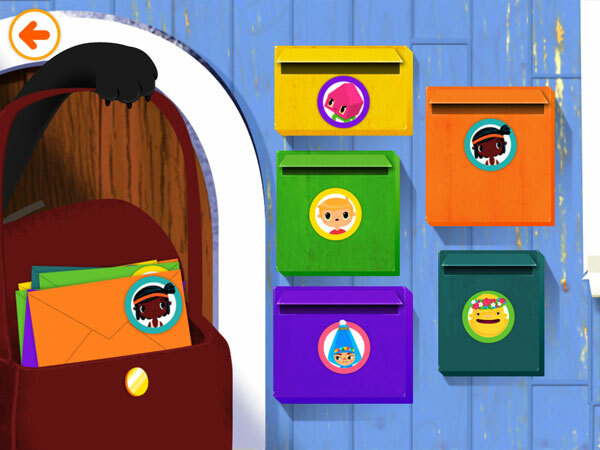 Toca House review - Designed for juniors aged 2 to 6, Toca House activities enforce learning in simple but fun ways. Even though Toca House is designed for juniors aged 2-6, I found that my 1-year-old son, Noah, who is currently learning about colors, can also benefit from the app. Through the sorting activities included in the app, juniors can enforce their concept of colors. I'm not sure if this is by design, but I consider it as a nice bonus. I also like the subtle values that the developer tries to suggest throughout the app. By showing a random character for each chore, Toca House implicitly shows that housekeeping is a team effort where everyone actively contributes to complete the chores. It also shows that no chore is exclusive to one person - everyone should learn to share the workload. Finally, I believe that this app has good room for improvement. Without adding another location, I can already visualize how Toca House could be improved. In addition to outdoor activities, such as sorting and taking out the trash, taking care of pets and gardening, I think the developer could consider adding some indoor activities, too, like sorting and storing toys and preparing food. I hope the developers would see some of these as a nice addition to the app. Toca House review - Much like in the real world, a family inhabits the Toca House and shares the workload evenly amongst themselves. 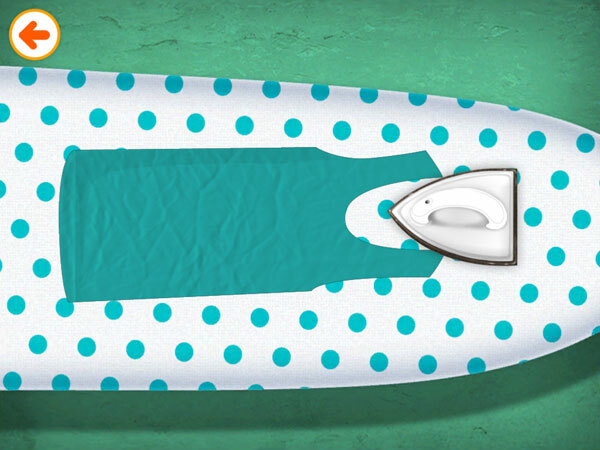 Toca House is an excellent app to introduce housekeeping to your juniors. I have never encountered a better way to introduce household chores to my sons. You can use the app to let them know what can be done and how the other family members have been helping out. Then, you can use the app to start a discussion over what they could contribute and how they would make the house look and stay nice. Get Toca House on the App Store.